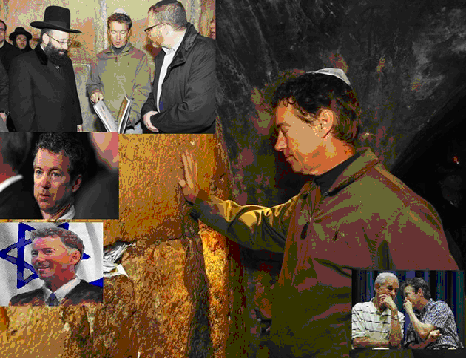 Here is "conservative Tea Party patriotic" Zionist sock puppet Rand Paul at the Wailing Wall in his little yarmulke. He wants to be our next president. Israel owns his soul, like they do every single one of the other 534 members of Congress. The apple fell a long way from the tree here. He is probably the least worst congressman, so imagine just how bad the other 534 are!!! Congress is a perfect reflection of the rotten soul of America. The very idea of Chris Christie being president is too disgusting to entertain. Neither party has anyone to run in 2016. George Orwell pointed out that people who tell the truth will not just be ignored, but despised by the public. 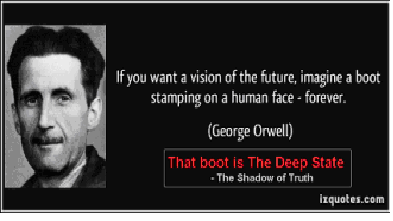 If you never read his book 1984, you should. If you never read Aldous Huxley�s Brave New World you should read that, too. 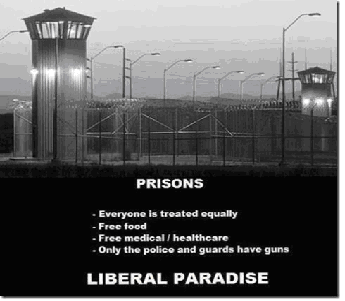 It is 2014, and you must pay for Obamacare or go to jail. At first you must pay a "fine" of 1% of your salary- and get nothing. You're punished for not wanting Obamacare. Soon, the fine will go to 2.5%. Then the fine will go so high, you'll be forced to get government health care you don't want. You can pray for a president in 2016 who will dismantle this socialist nightmare, but you're wasting your time. Finally, people are seeing the reality, and 60% of he American public does not want government health care! Now they have seen they pay more to get less, and only the scumbags get something for nothing. Look at this 18 year chart of utility rates. Wonder why the American standard of living has gone to hell? This is just one of countless reasons. 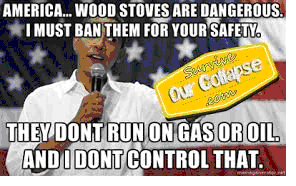 People are using less gasoline, less electricity, less natural gas because they're BROKE!!! We have an almost infinite supply of coal, oil, natural gas, and uranium right here in America. All energy should be cheap. 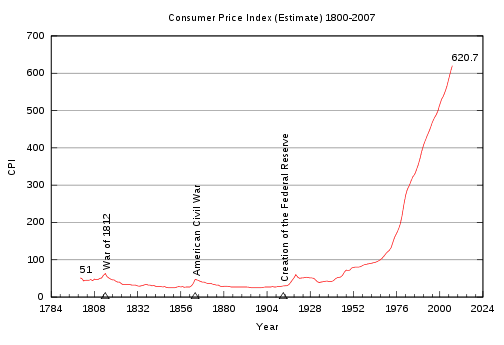 Only the government causes high energy prices. 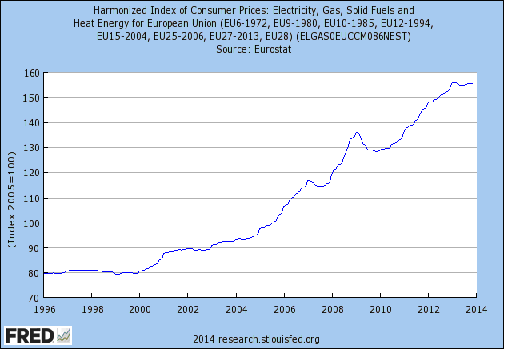 The Department of Energy has caused high energy prices instead of reducing them. Leave it to government to do exactly the opposite of what they claim they are doing. The DOE should be ended. John Williams has shown for years that the real unemployment rate is about 23%. The government figure of 7% is preposterous. Ray Charles and Helen Keller can see that a quarter of Americans can�t find a job. Remember, during the Great Depression it was �only� 25%. Actually, it is much worse that 23% now for two big reasons...1) many people have just given up, and are no longer counted, and 2) many people have taken jobs beneath their abilities, just to pay the rent and feed their children. 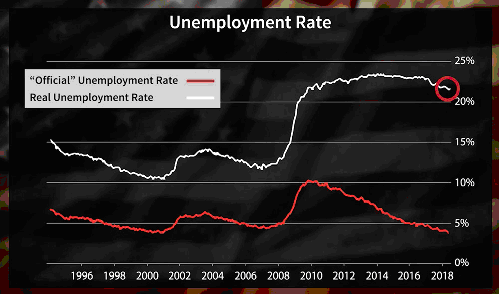 We probably have a real world unemployment rate closer to 30% now- and getting worse. Gold made a new low. The HUI made a new low. There is no support at all for either of them. However, silver did not even come close to making a new low. Silver is actually 45 day (but not 30 day) bullish. The support is the $18.25 June low. Yes, the metals could go lower, but silver is showing more strength than gold. Gold could fall to the $1,133 (8% fall) or even the $1,028 level (a 17% fall) based on $1,230 spot�or it could go up from here. Some reliable analysts like Scotia-Mocatta, Leibovit, Joubert, and Radomsky see lower prices short term. Silver will not fall as much as gold. The trends say both are going down some more. You could see gold make a 50% correction to $1,280 and then collapse. Short term prediction is suicide, but your poor old author sees more short term weakness. In 2014 you are going to see the gold to silver ratio fall from the current irrational 62:1 level, and start heading for 10:1. That could mean something really extreme in the next few years, like $10,000 gold and $1,000 silver. Of course, if that happens the dollar would be worthless, and bread could be $50 a loaf. Silver at $18, $19, or $20 just doesn't matter. Load up on silver bullion and hold it personally. No paper silver, no silver stocks, no SLV, no storage programs, just hold your silver personally no matter what you have to do. UPDATE: There are only 400,000 registered (available) ounces of gold on the COMEX. This would give everyone in America a few GRAMS of gold, and none for the rest of the worst. The same is true for COMEX silver. There are only 50 million available ounces, which is only a few grams of silver for every American. None of the other 6.7 trillion people on earth. The COMEX is the largest repository of gold and silver in the world. London Bullion is empty and has been empty. You can buy every single ounce of that COMEX silver for only a billion dollars. That is tiny, tiny, tiny. George Soros alone is worth $20 billion. There are more tax increases for 2014 than you can count. 60% of the American public is so stupid they support a higher federal mandatory minimum wage law. There should be no minimum wage at all. Let the free market set wages. When you have a minimum wage people lose jobs. You cannot mandate wages by decree. The standard of living in America continues to be destroyed by socialism, Marxism, and Big Government Soon America will be another third world, mixed race cesspool like England. Remember that, "Britain Ruled the waves" in 1900, and America was just a second rate military power. The Pound Sterling was the world reserve currency, not the dollar. All democratic systems self destruct after 200 years, and it has been 238 years now. It's finished, done, over...America will be just another poor mixed race Third World sewer. There is no freedom on this planet for the first time since history began. The entire earth is now one big Prison Planet. There is nowhere to go, nowhere to hide. 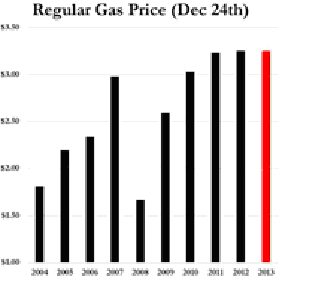 Look at gasoline prices over the last 10 years. We have oceans of oil right here in America. We have oceans of natural gas. We have an almost infinite supply of coal. You can make any liquid fuel out of coal cheaply with the SASOL process. We could have $2 a gallon gasoline, jet fuel, and diesel fuel today, but "our" government won't allow one SASOL plant. In fact, Obama and his friends are trying their best to completely end the use of coal. As the use of coal is stopped our standard of living will just continue to collapse. We need coal power. Yes, we can clean up the emissions electrostatically. 70% of our electricity comes from coal. We simply cannot do without coal. This is what the liberals run their electric cars on by the way. Liberalism always equals hypocrisy. Never forget that 70% of our electricity comes from coal. The ONLY way to change that would be to open thousands of nuclear plants. No more living over our heads folks. 2009 was the end of that foolishness. How many people do you know that have been living over their heads for years? We can�t even count how many we know. Sometimes it seems nearly everyone is living over their head-or trying to. Well, that�s over. Now it�s about survival and �getting by�. Soon it will be about keeping warm and not starving to death. Money News (www.moneynews.com) noted that billionaires are dumping their stocks. 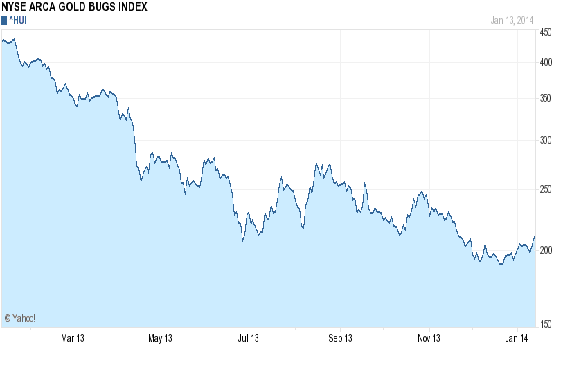 The Big Boys like Buffett, Soros, Gates, and Paulson are dumping their stock holdings,as they know a crash is coming. The 16,000 Dow is a massive bubble. The insiders have been dumping their stocks for months now, and we have been reporting that. Here comes the crash! Are we looking for the S&P to fall from 1,900 to 400? 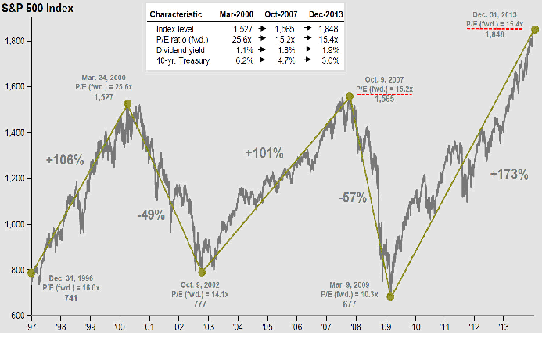 Look at this 17 year chart. 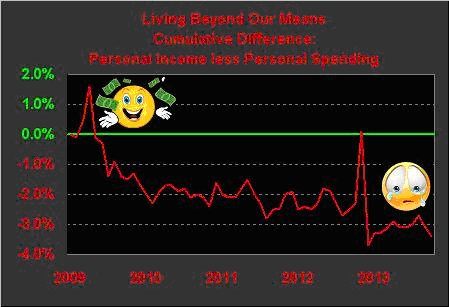 Here's a smart money/dumb money chart for you. 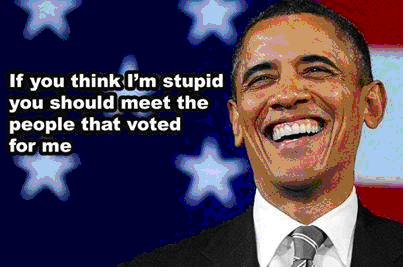 75% of the dumb money (the sheeple) is fully invested in the stock markets. Only 33% of the smart money is. The insiders bailed out long ago. The commercials (smart money) are now shorting the markets. The Fukushima nuclear reactor failure only poses a threat to Japan. It does not pose a threat to America at all. Numerous pseudo-conservative websites (Rockwell, Before Its News, Infowars) are claiming there is a �secret cover-up� of the dangers to America. Cesium-137 and all other radioactive metals are far too heavy to travel. They fall to earth, not ride the clouds. They fall to the ocean floor, not ride the waves. Heavy isotopes cannot travel thousands of miles to our west coast. Anyone who tells you "Fukushima radiation is coming" is a liar and/or a fool. We have enough real problems, without making up ones that don't exist. There are radiation hotspots on the California coast though. Where is the radiation on the west coast coming from then? The 47,800 barrels of radio-active waste dumped in the Pacific Ocean between 1946 and 1970 at the Farallon Island Radioactive Waste Dump (near San Francisco). This is right from the U.S. Geological Survey and you can verify it at the government website www.usgs.gov. That is the source of the radiation on the California coast. You can also Google �Farallon Islands nuclear dump� and learn all about this. �Our� government caused this radiation. They dumped entire old nuclear reactors from submarines, along with tons of radioactive waste right in the Pacific Ocean near San Francisco for a quarter century. Now they are going to blame the Japanese! Could this be a late December bottom? Possibly. Probably not. History tells us a trend in motion stays in motion until it changes. Right now we can still expect lower HUI, gold, and silver prices in the short term. WE ARE RUNNING OUT OF PHYSICAL SILVER. Soon we will have no retail silver. The industrials already have the mines locked up with contracts. They must have silver. London Bullion is empty. The COMEX is almost empty. SLV has been almost emptied as well. Soon the coin shops will be empty. Buy it now at $20, and be thankful for this last chance at cheap silver. The only people on earth who have silver are the Big Banks, the insiders, and smart people like us. What did Senile in Omaha Buffett say when he was young and smart? Buy value and hold for the long term. 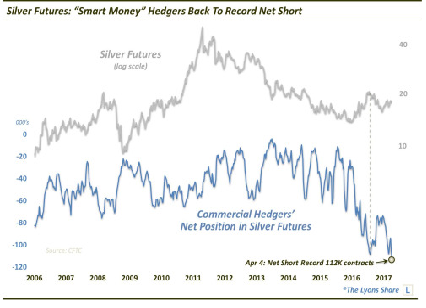 Well, silver is the most undervalued asset on earth and has been. Buy all you can, and hold for the long term. 2014 is going to be good to us. This has to end after more than 30 months? Why does it have to end? Because we're running out of silver. We are also running out of gold, but the industrials don't need that. No interest payments to Zionist bankers. No need for a "debt ceiling". No inflation. The dollar would be worth a dollar, not 5 cents! No IRS. There was none before then. The Big Banks would have minimal power. More personal freedom and a higher standard of living. No "fourth branch" of government- three is enough! Americans spend well over $300 billion a year on prescription drugs. Remember the total GNP of our country is down to about $10 trillion. This is a huge amount of money to spend on toxic drugs. Vitamin supplements, on the other hand only count for about 1.5 billion. This is a factor of more than 150 to 1 in favor of drugs. Yet, the government is busy telling us scientifically proven food supplements are not only useless, but downright dangerous!!! And they should be outlawed. Well, America is the only civilized country in the world you can freely buy supplements (and four hormones). Go to Canada, New Zealand, Australia, or anywhere in Europe and you'll see almost nothing. What little you do find is weak and overpriced and basically useless. Go to www.youngagain.org and read the article under M "Most Medicated Nation". 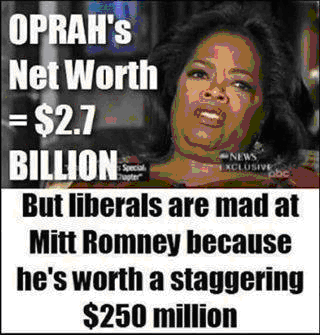 Have you noticed it is wonderful when liberals are rich. Al Gore, Joe Biden, John Kerry, Warren buffet, George Soros, Bill Gates, and all the rest of the rich liberals. When a conservative (Romney is a pseudo-conservative) has money, they are evil. The rich are evil unless they are liberals. Then they are Beautiful People like Oprah. Weather satellites have proven the arctic sea ice is expanding greatly by a full 50% over the past 10 years. Al Gore said New York and other cities would be �under water by 2013�. He further said the arctic would be "ice free" as well. 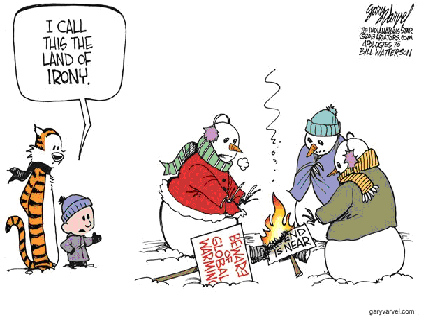 The liberals are going crazy as we have record cold winters year after year. This year has been one of the worst winters on record for the entire country. Google the �Still Report� and watch #152 Arctic Ice to see a wonderful six minute video of this. Bill Still tells the truth. Send him some money if you want as he has a 501c3 charity. He�s the real deal. www.stillreport.com. The California legislature wants background checks and permits to buy bullets! As goes California, so goes the nation. To see our socialist, Marxist, totalitarian future, just watch the continuing collapse of the Peoples Republic of California. They will stop the free sale of bullets, and demand face to face sales- only after getting a bullet permit and background check. Of course, gang members will simply get their sister, mother, daughter or girlfriend to buy their bullets for them. Bullets will go first, then the guns. Never forget that. Other states like New Jersey, Massachusetts, Alaska, Connecticut, Illinois, New York, and Hawaii have already restricted the sale of bullets. Load up on ammo. Get at least 1,000 rounds of the ones you need the most. You can get AK and AR rounds for $350 per thousand (35 cents each) at numerous websites. Get serious about prepping folks. If you live in the city or crowded suburb, then move. Put away lots of whole grains, dried beans, some canned goods, bullets, and every single thing you use daily. Walk around the house and make a list. Everything from toothpaste to toilet paper. Just be ready. Be prepared, not paranoid. Common sense tells you this.